Home » Planning » Boarding Kennel or Dog Sitter: Which is Best? As you schedule your summer vacation you will be faced with a dilemma: what to do with your dog while you are away? There are many options for pet owners, including leaving your pet with a boarding kennel or dog sitter. Which of these solutions is best? The pros and cons of a boarding kennel or dog sitter will be discussed. 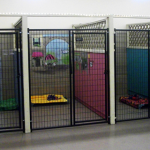 A boarding kennel is a commercial facility that specializes in housing animals. 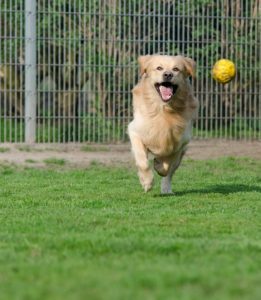 There are many types of boarding kennels, ranging from strictly cage free, caged with cage-free play time, or caged with individual exercise. The benefits of boarding kennels are numerous. Most notably, leaving your dog at a boarding kennel ensures that your pet is cared for by professionals that are licensed and insured in addition to being subject to inspection. Boarding kennels are typically staffed 24 hours per day, and have protocols in place for dealing with any type of canine emergency. A boarding kennel also ensures you are not inconveniencing your neighbors by asking them to care for your pet, or allowing potentially unknown people into your home. However, there are also drawbacks to leaving your dog at a boarding kennel. The kennel environment is often chaotic, with lots of barking dogs. Animals can become stressed in this atmosphere, particularly if they were adopted from a shelter. The spread of communicable disease is also more common in a boarding kennel, as animals are kept in close proximity of one another. A dog sitter is someone who either comes into your home to care for your dog, or whom you leave your pet with in his or her home. Many pet owners choose a dog sitter because they feel that a pet will be less stressed in a home environment. For dogs with special needs, such as senior pets that require extra supervision or dogs with medication requirements, a dog sitter can be useful. Additionally, animals with separation anxiety or aggression issues often do best with a dog sitter present. For pets with compromised immune systems, hiring a dog sitter eliminates the risk of your dog acquiring a disease from a crowded kennel. For dog owners who worry about security while they are away, a dog sitter is useful because this service also makes a house appear lived in for the duration of the owner’s trip. 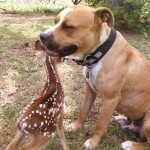 However, hiring a dog sitter is not without limitations. For instance, dog sitters are often more expensive than boarding facilities, particularly if you hire someone to stay overnight in your home. Unless you know your dog sitter well, there is always a risk when inviting an unknown person into your home. Additionally, if your sitter is not scheduled to stay at your house 24 hours per day, your dog has an increased risk of becoming destructive due to boredom, or not being supervised in case of emergency. Ultimately, there are advantages and disadvantages to both a boarding kennel or dog sitter. To make the most informed choice you should fully consider all of your dog’s needs, as well as your trepidations.